What are your shoe resolutions for 2015? 1. Add more colorful shoes to my collection. I can’t tell you how many variations of black shoes that I have. Exotics, pony hair, patent leather, wedges, flats…you name I got it. I think these Charlotte Olympia mariachi pumps would be a perfect choice. 2. Finally buy a pair of Valentino rock stud pumps. I have wanted a pair forever but have not been able to pull the trigger and the reason just seems silly now. I haven’t been able to decide on what color to get so I haven’t purchased a pair. So in 2015, I will bite the bullet and add a pair to my collection. 3. Attempt to wear all of the shoes in my closet. Last year I made a resolution to wear everything in my closet before buying something new and it worked until maybe March but still it worked. So this year I vow to try to wear all of the shoes in my closet. I can’t promise that I won’t buy a pair before wearing them all especially since some of the shoes are more appropriate for spring and summer weather. I like to think I have an awesome collection of shoes but sometimes I find I wear the same shoes over and over again. I think I am going to start with these Alaïa suede cutout sandals. 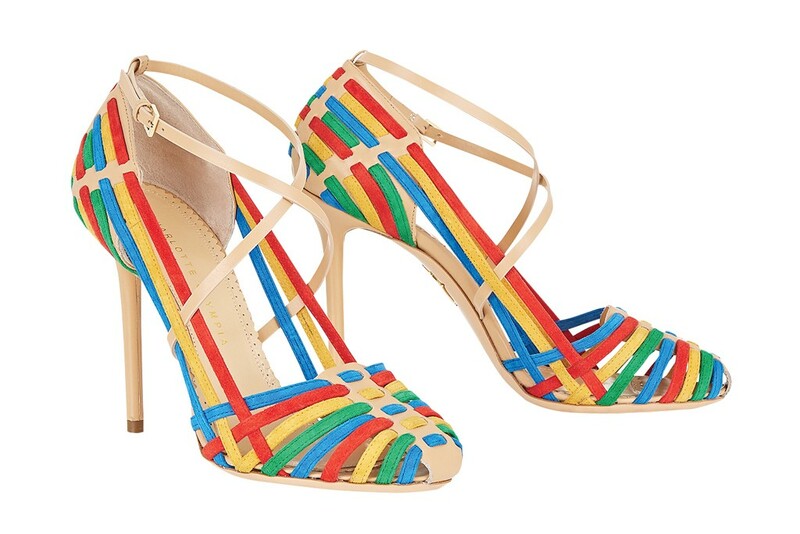 I just need a party to wear them to…hint, hint. 4. Purge. So like all great love affairs, love affairs with shoes also come to an end. It doesn’t matter the reason. So this year, I promise myself to purge all of the shoes in my closet that I am not really in love with anymore. Some of them will be sold on eBay. Some will be donated to Dress for Success and to some lovely young ladies around prom time. This way I can make room for new loves to enter my life. 5. Buy more. After I am finished purging, there will be room in my closet so obviously I will need to fill it. Besides, you can’t really go wrong with this resolution especially if the shoe fits and its on sale. Its your duty to just buy it. So, tell me what are your shoe resolutions for 2015?